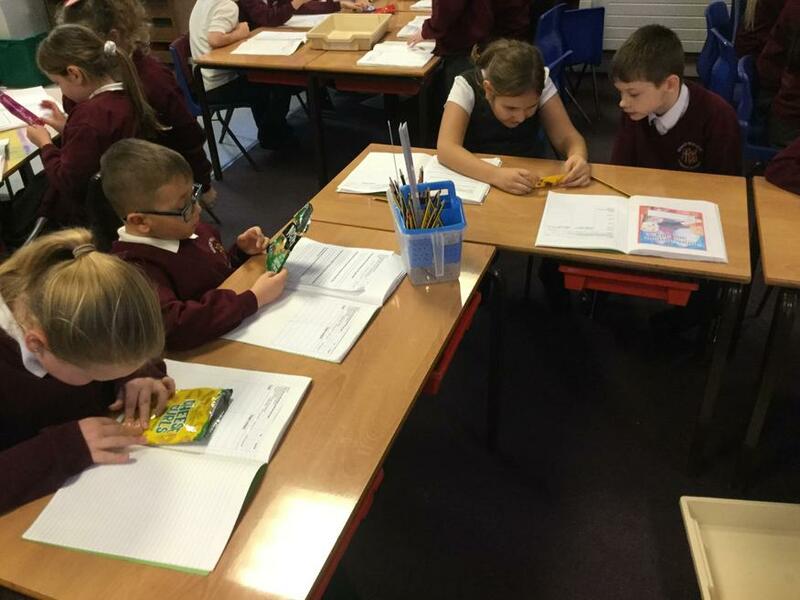 Spellings and days to remember are at the bottom of the page. 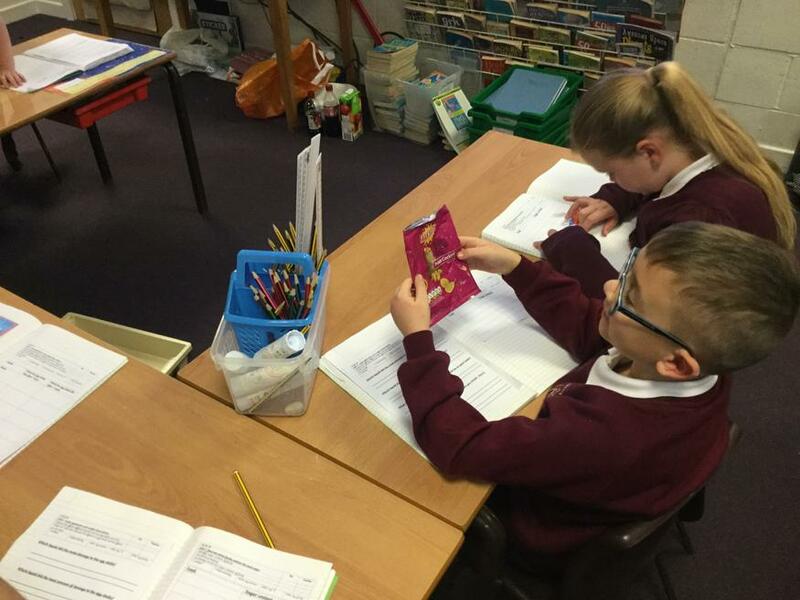 Our topic this half term is 'Blue Abyss'. 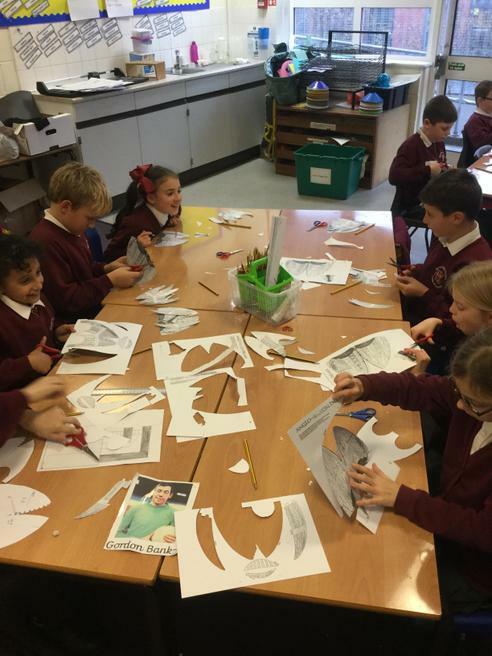 We will be learning about different sea creatures, the several layers of the ocean, food chains, as well as learning about undersea explorer Jacques Cousteau. 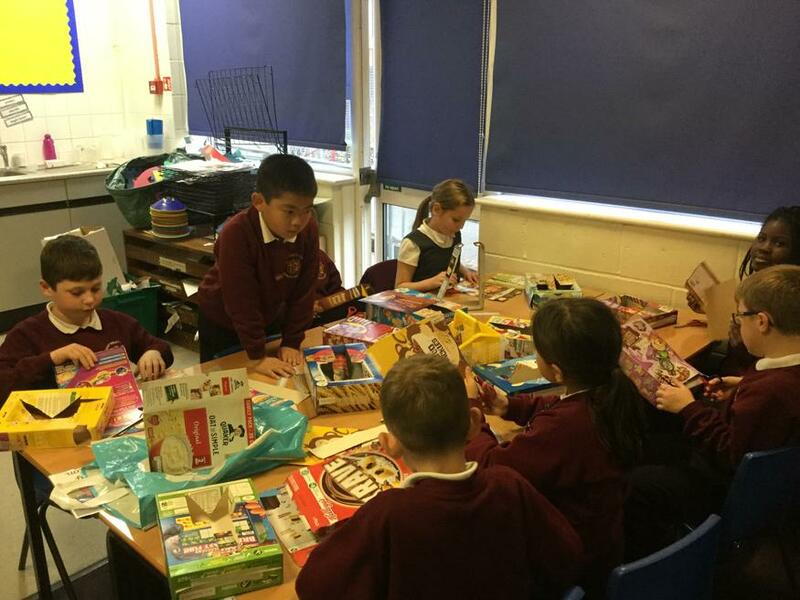 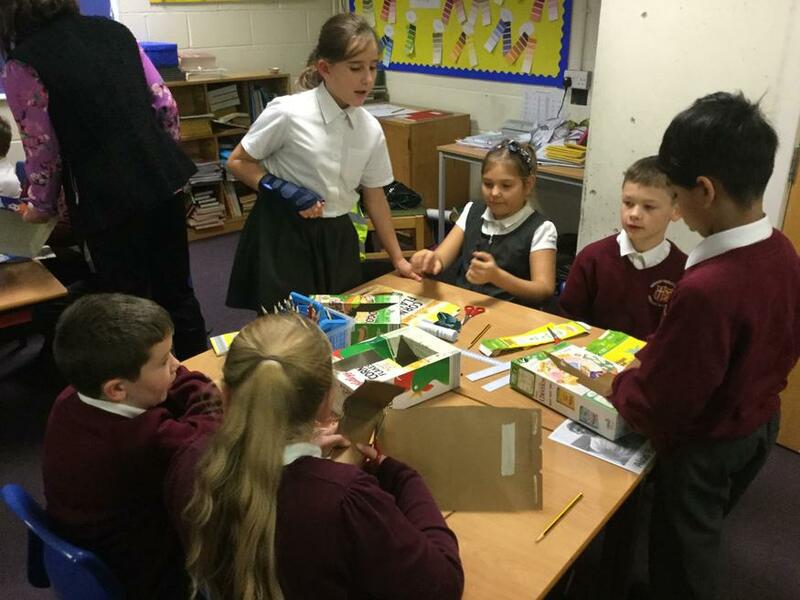 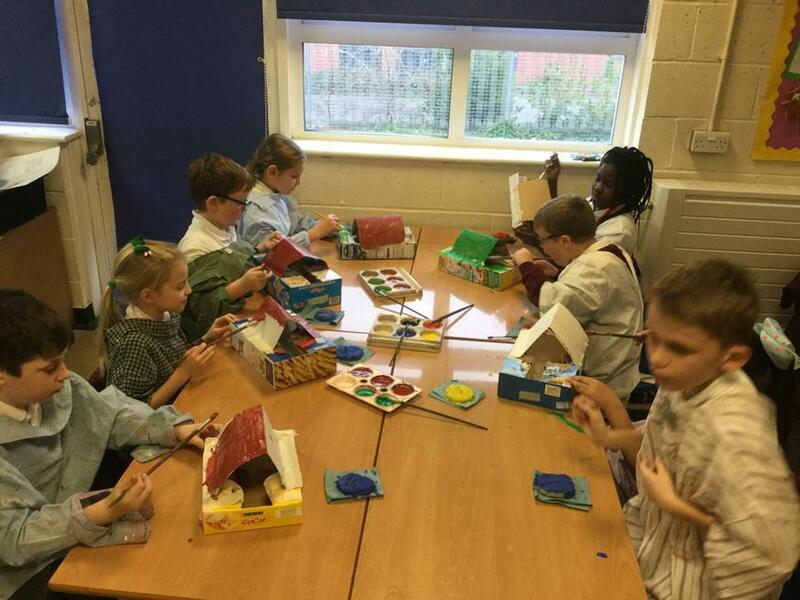 Make sure to visit the website over the term to see what we have been doing! 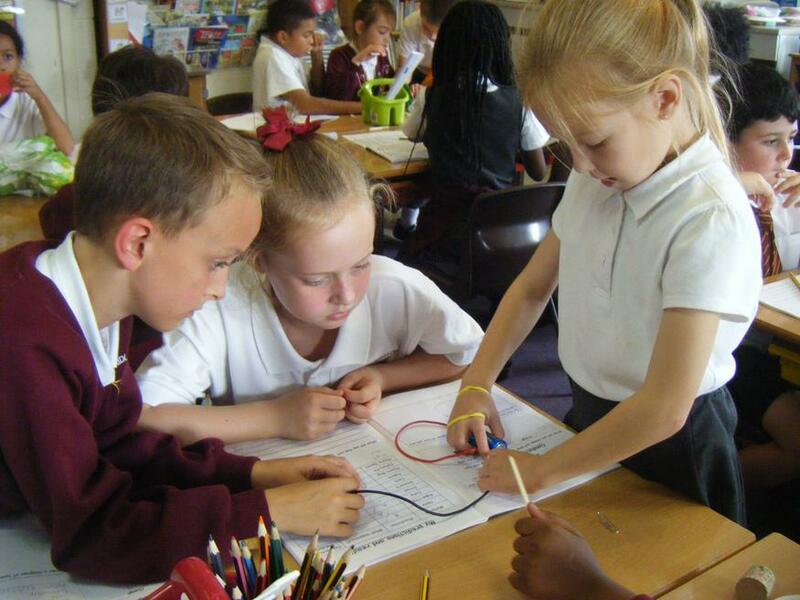 We have been learning about the water cycle. 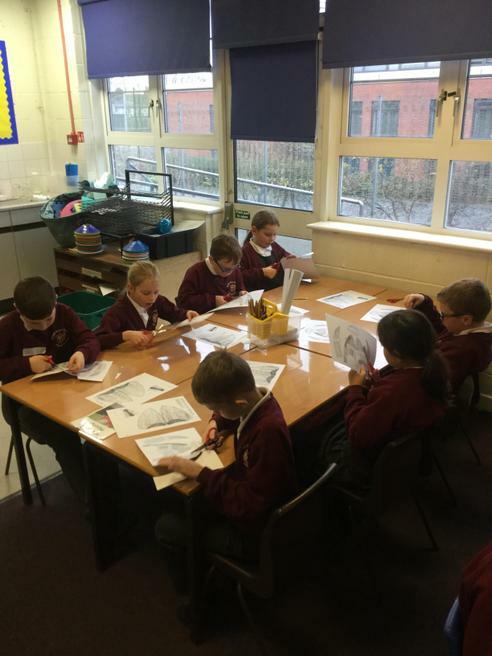 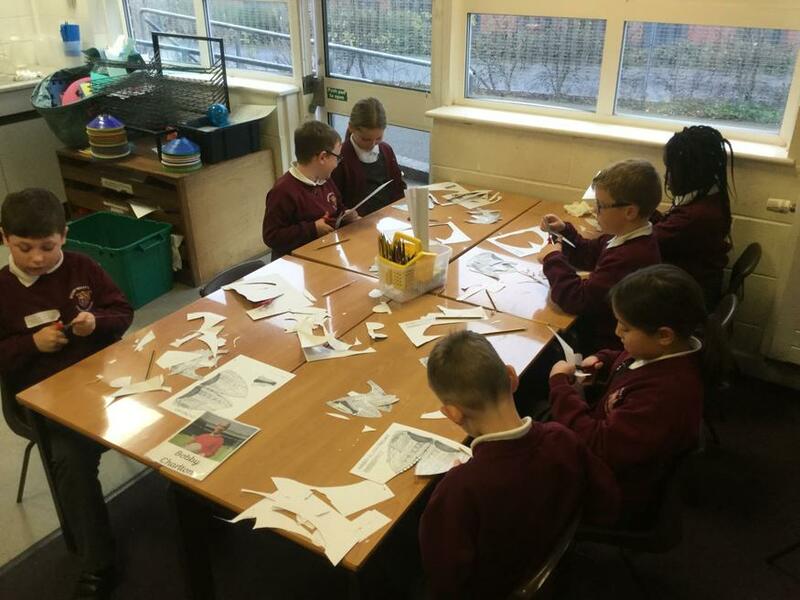 We have written newspaper articles to explain. 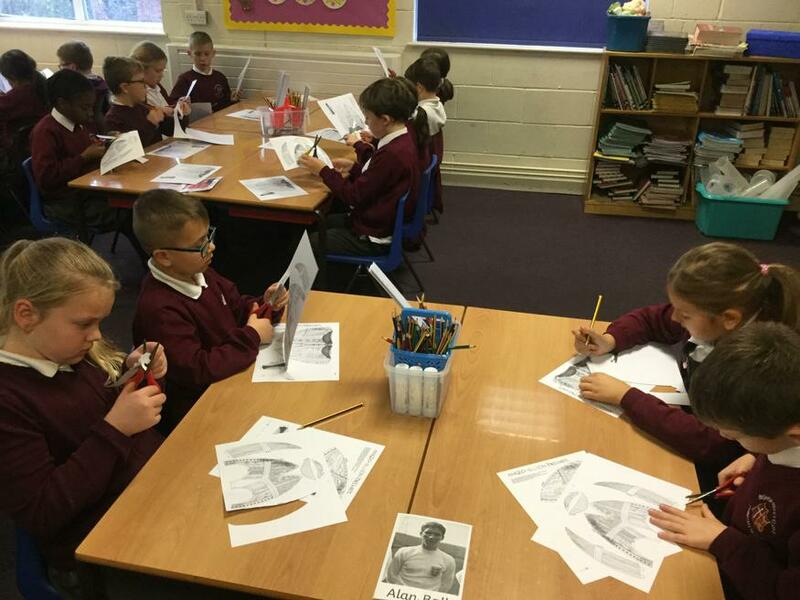 Our topic this half term is Burps, Bottoms and Bile. 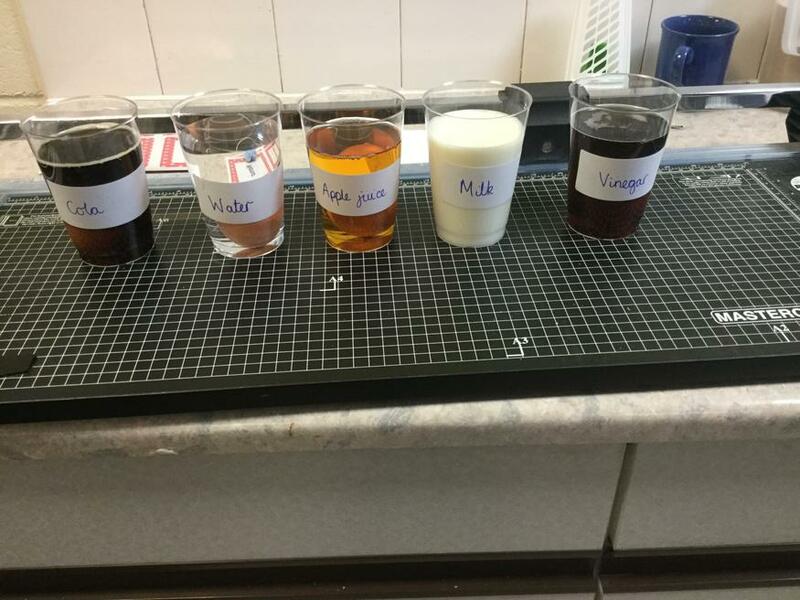 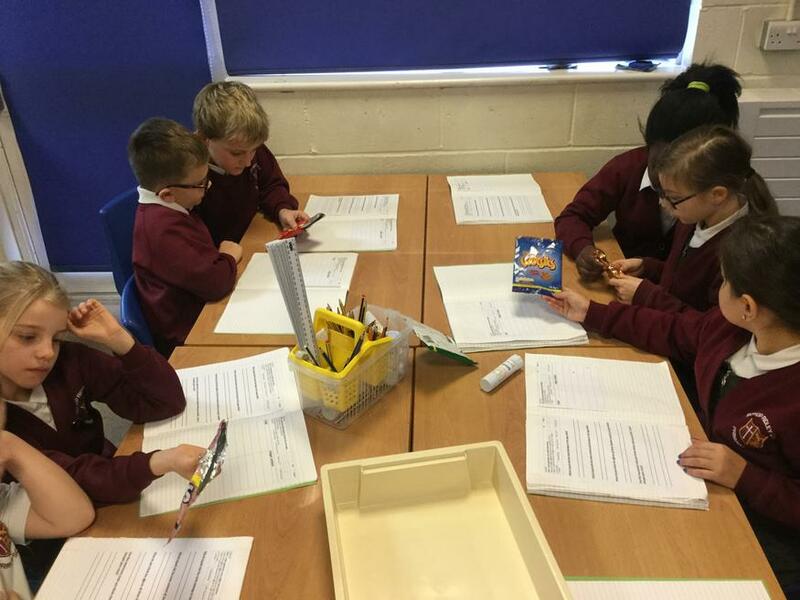 We have been looking at the sugar content of foods that we like. 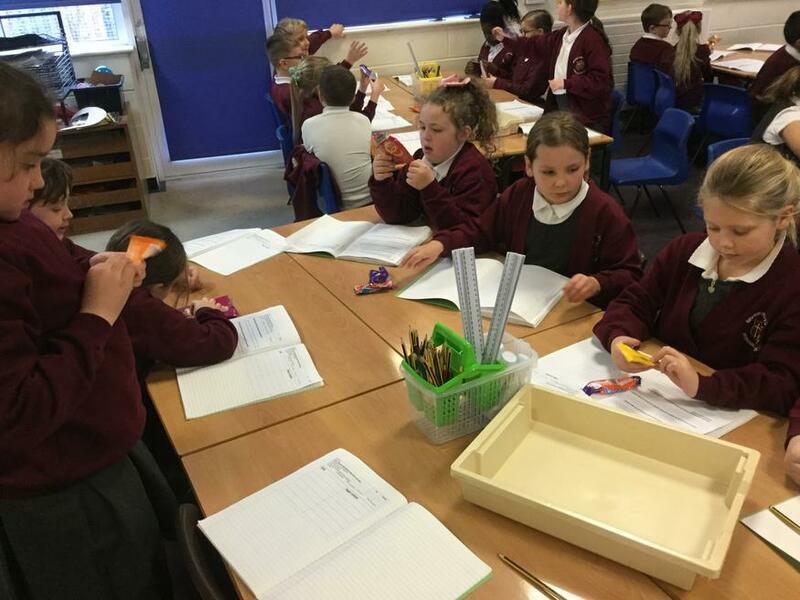 We were surprised by how much sugar is in foods which contain fruit! 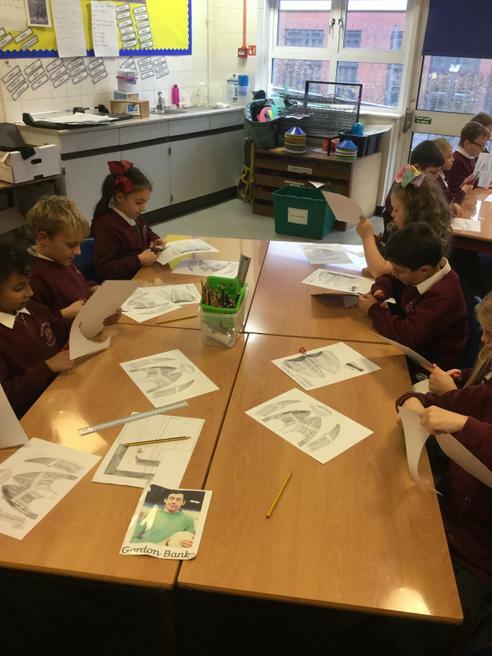 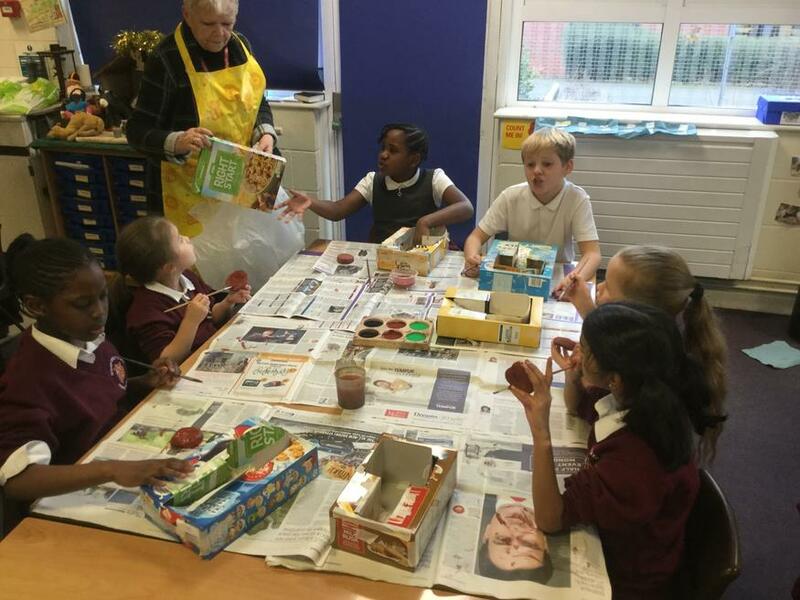 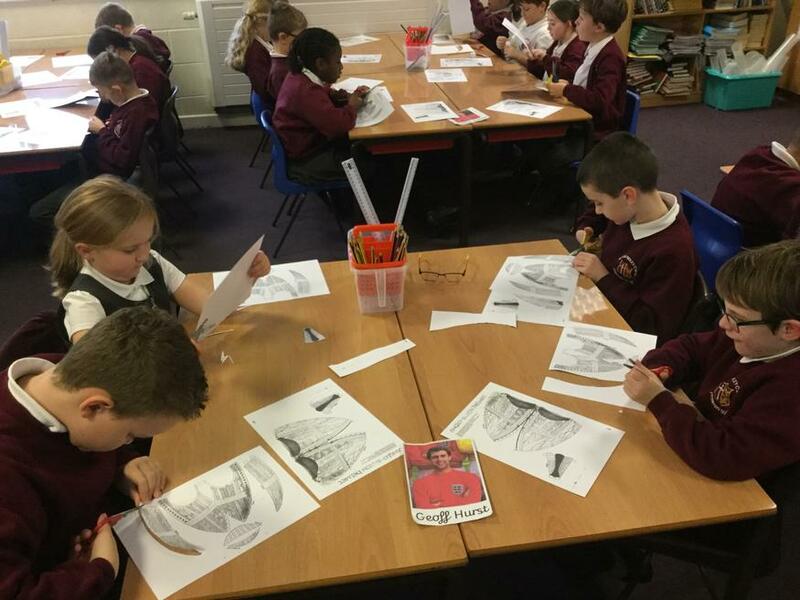 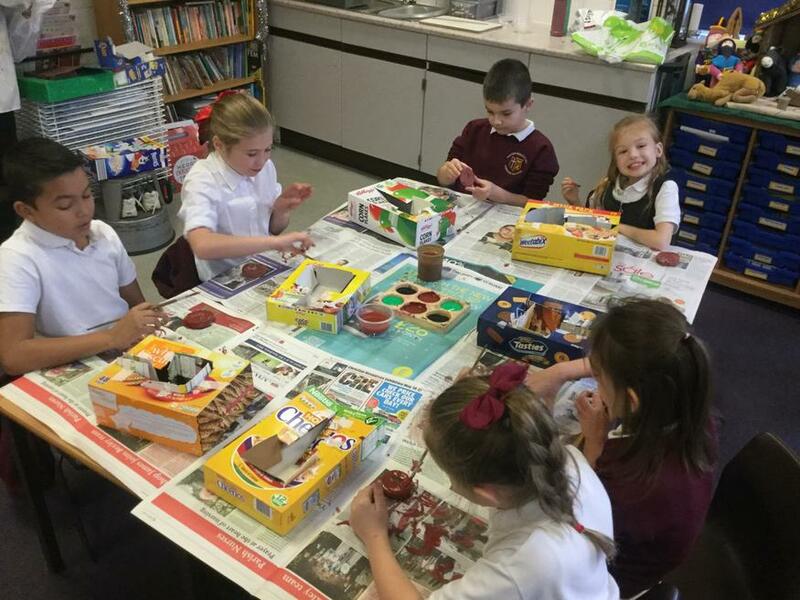 We have also learnt about the digestive system and the journey food goes on through our bodies, we have learnt about different types of animal poo and have thought about ways to keep our insides healthy! 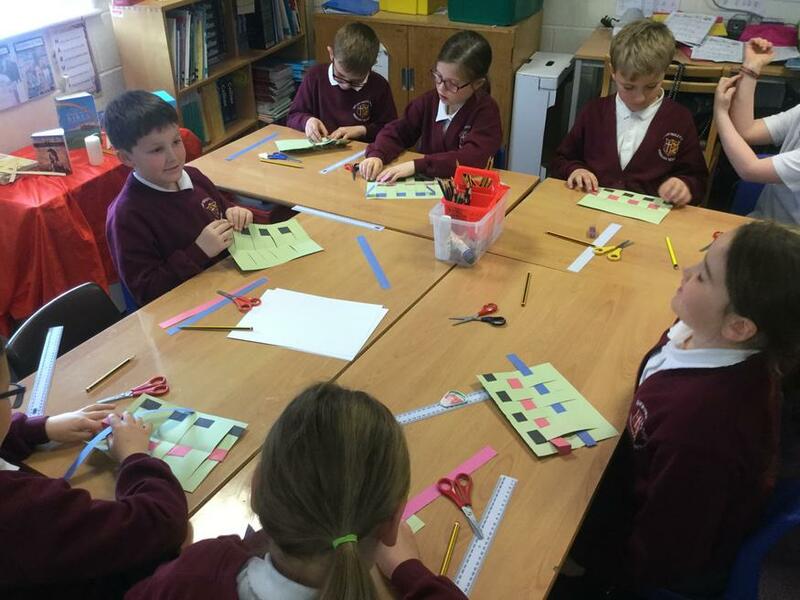 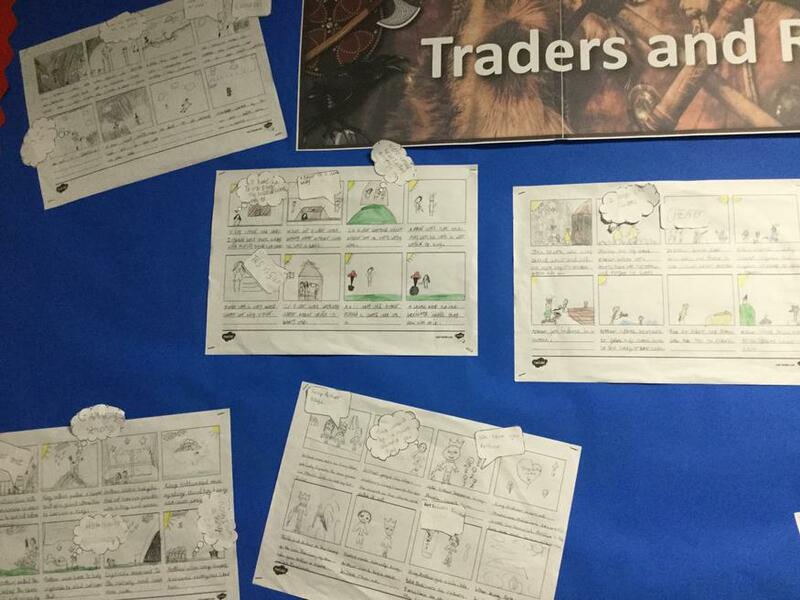 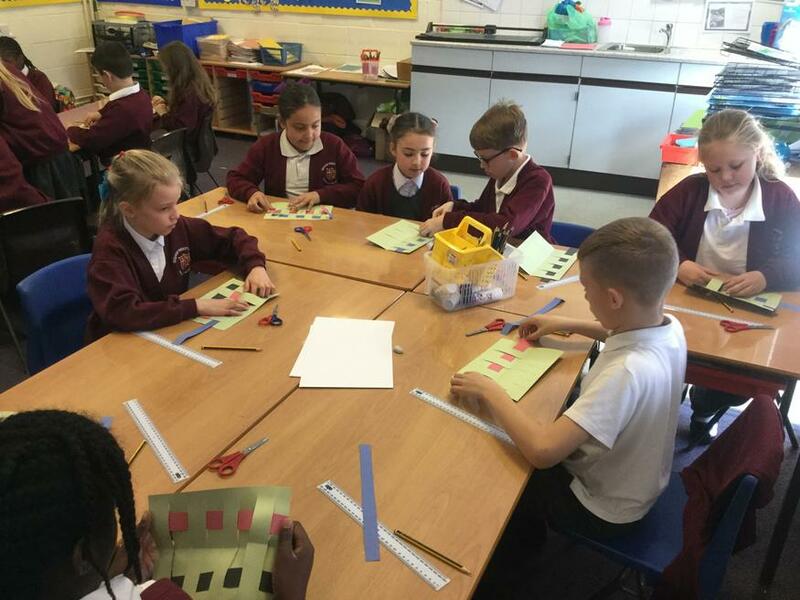 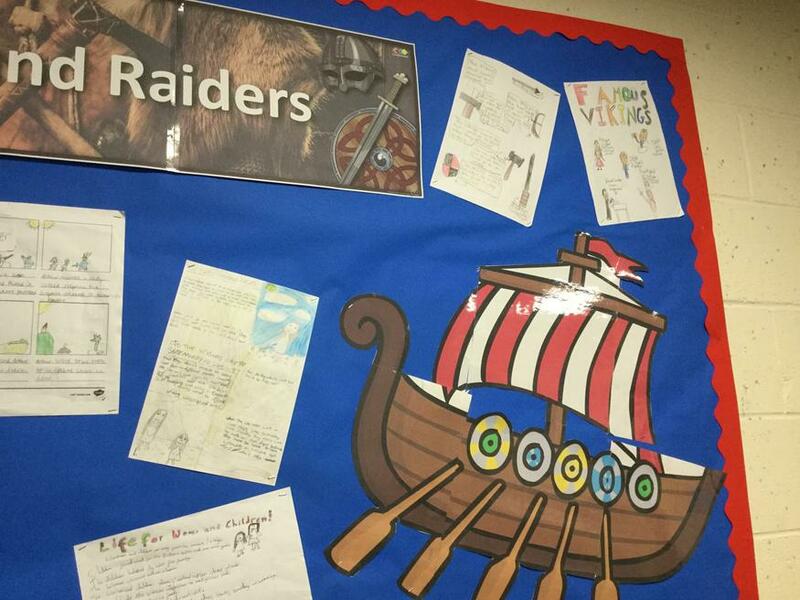 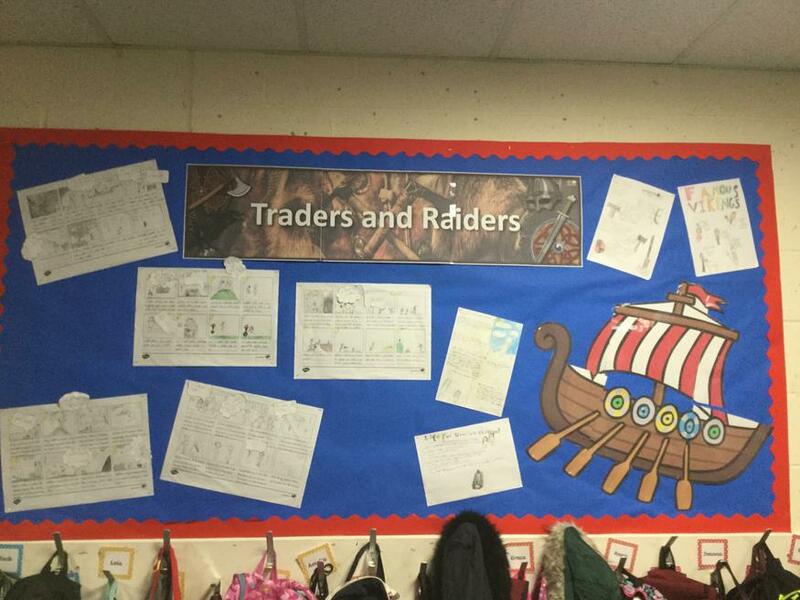 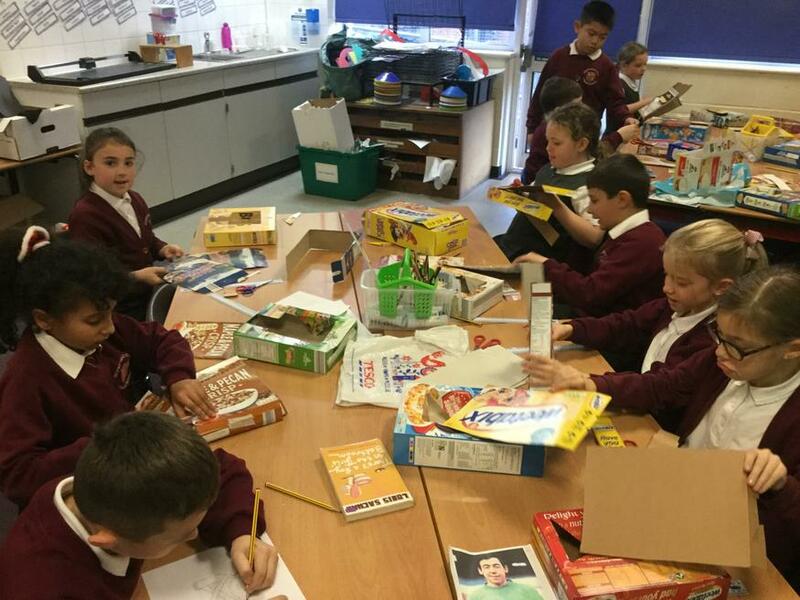 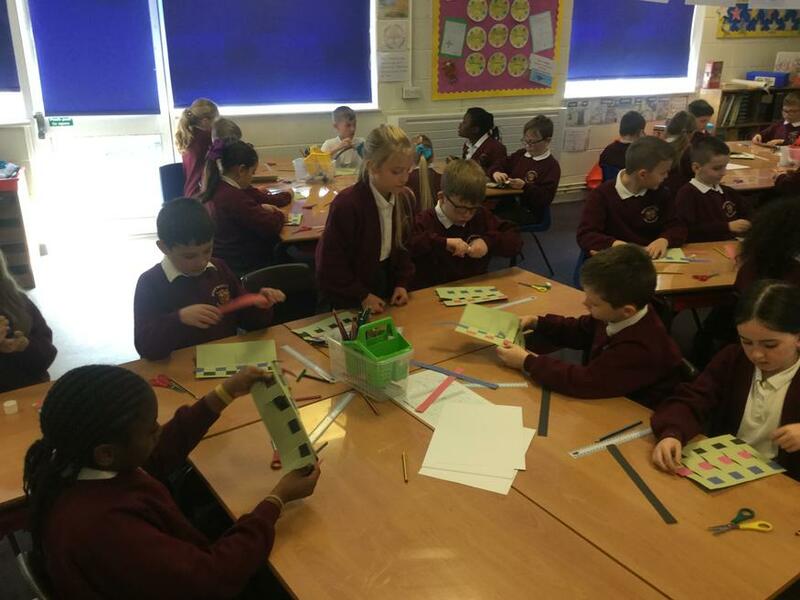 We have been busy creating lots of exciting things to do with our topic 'Traders and Raiders'. Come and have a look at what we have been doing! 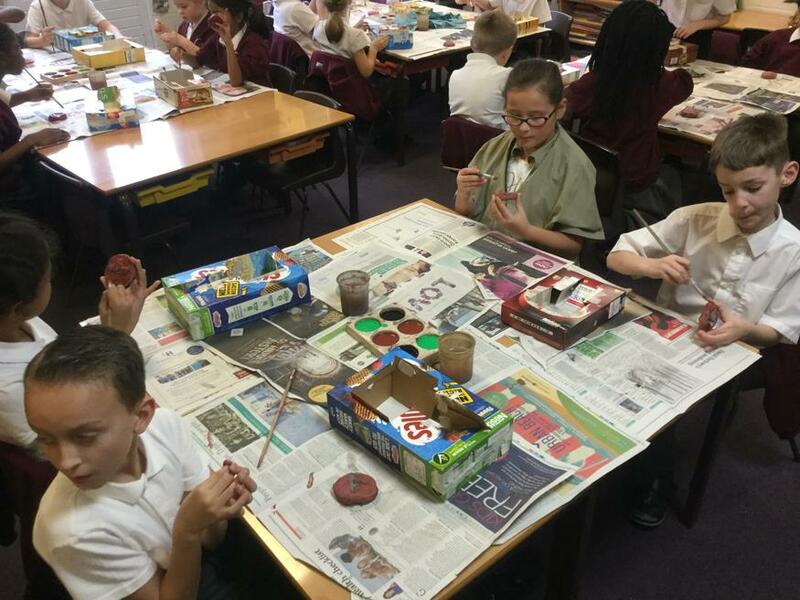 We've been getting messy! 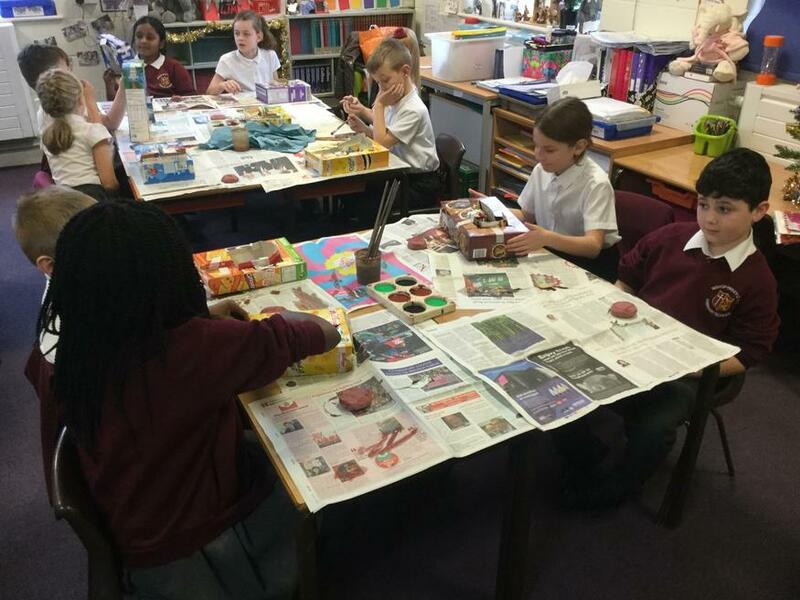 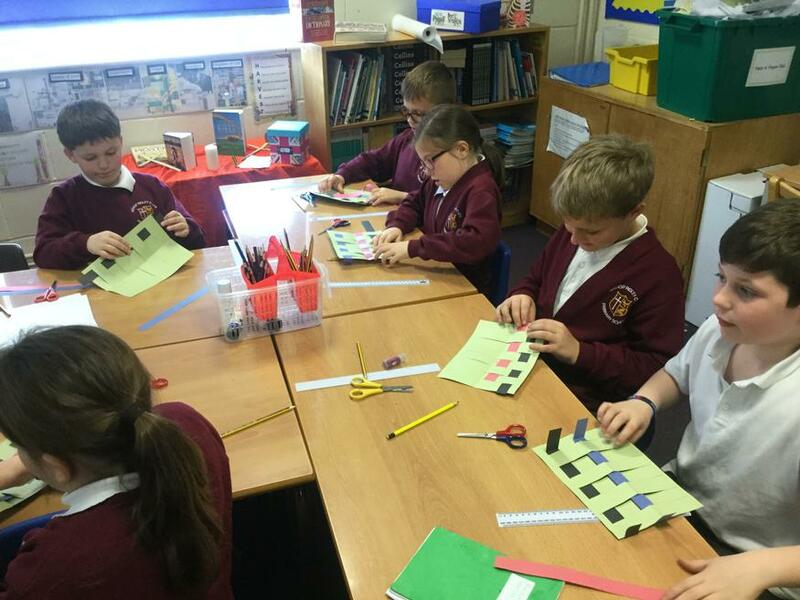 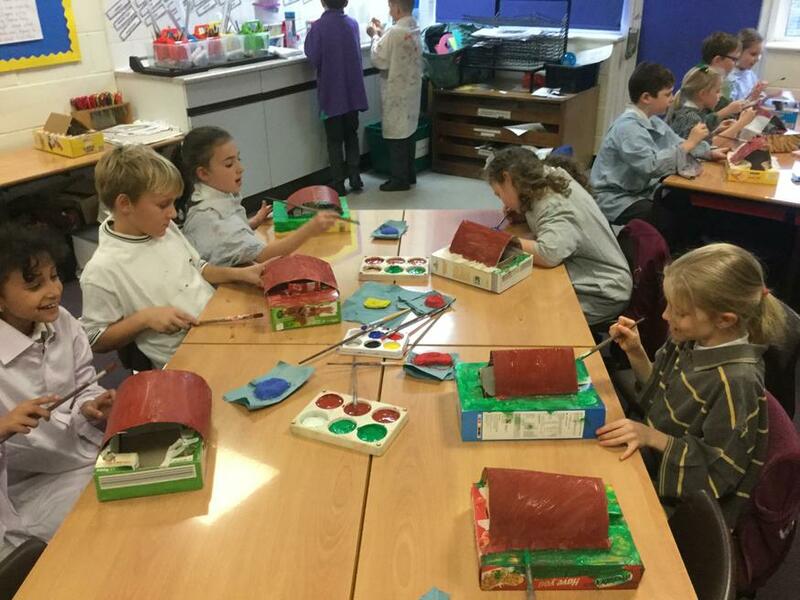 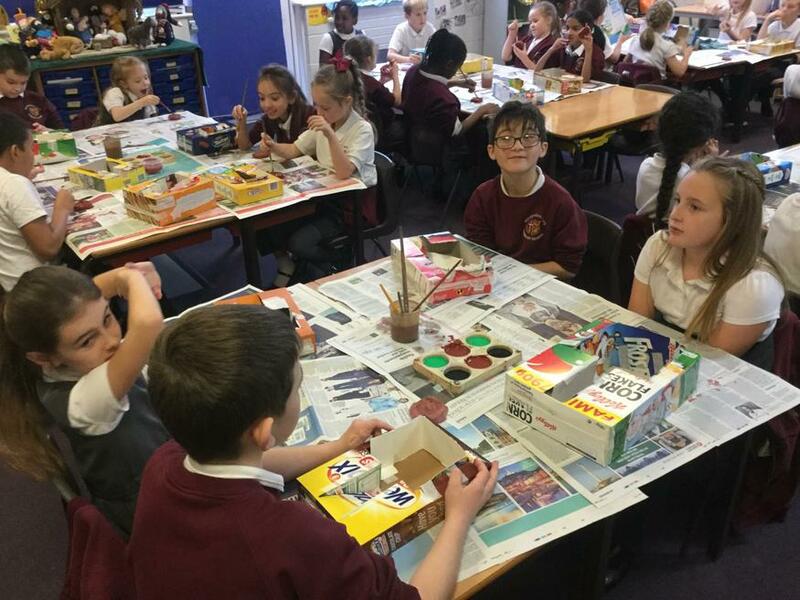 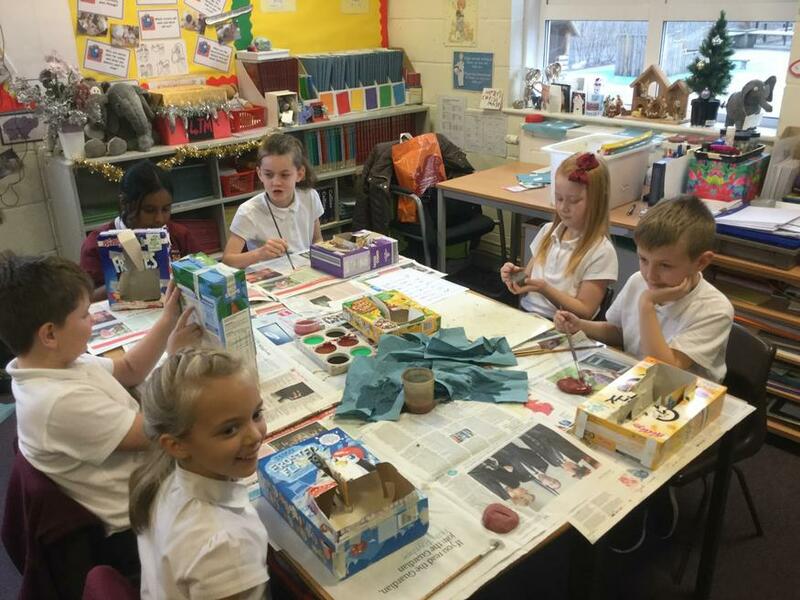 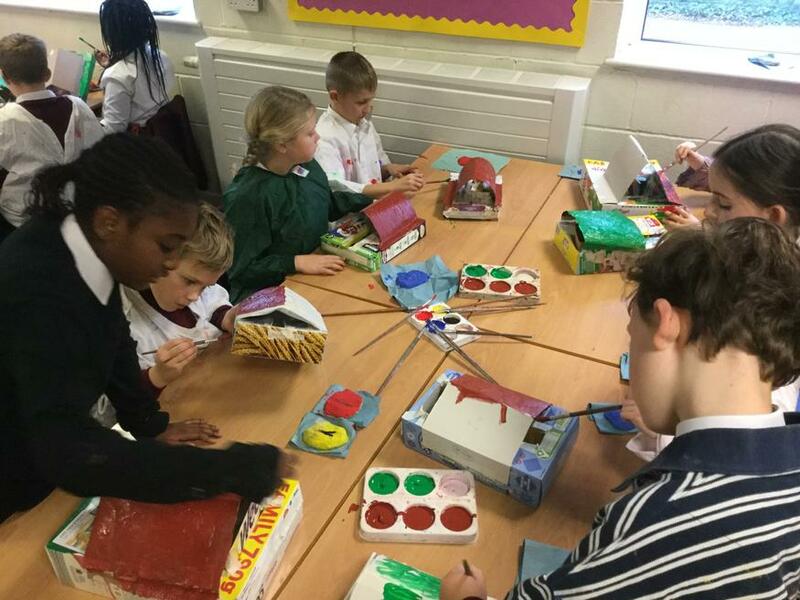 We have painted our Viking houses and rune stones. 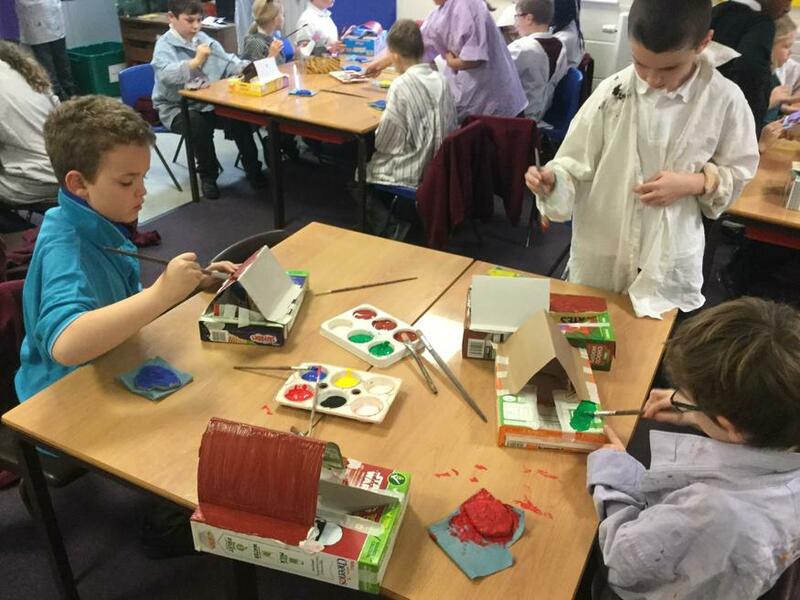 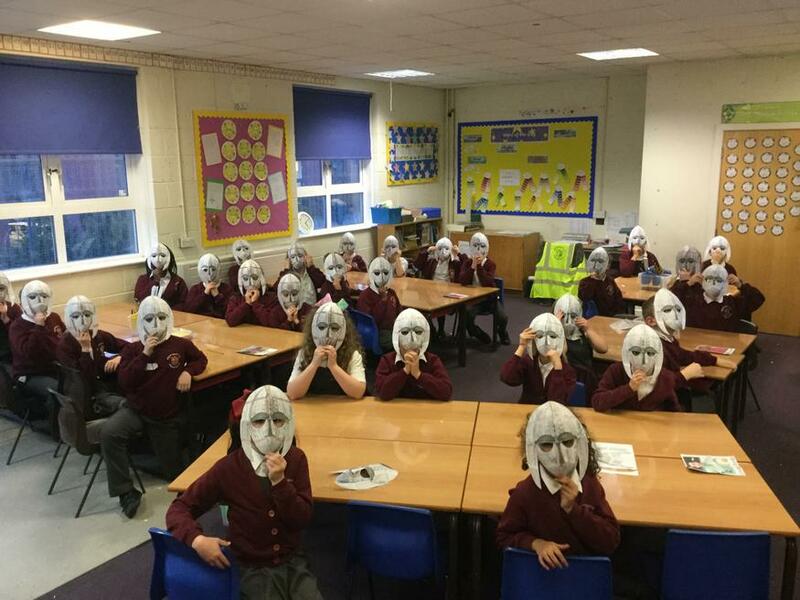 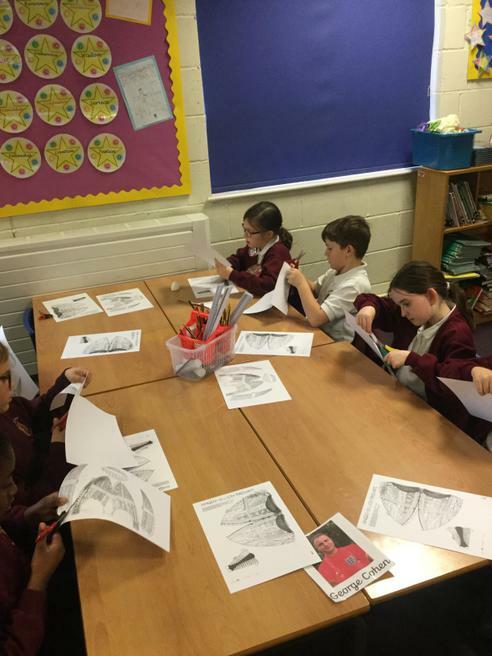 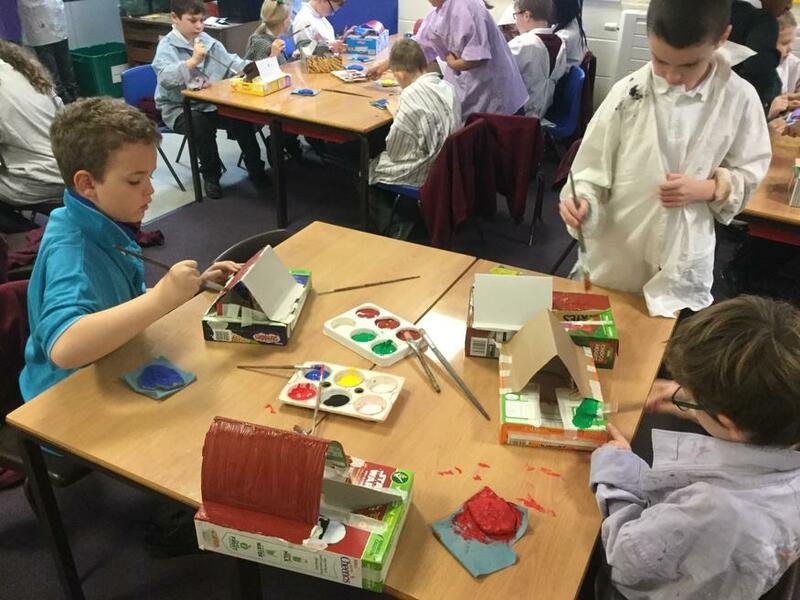 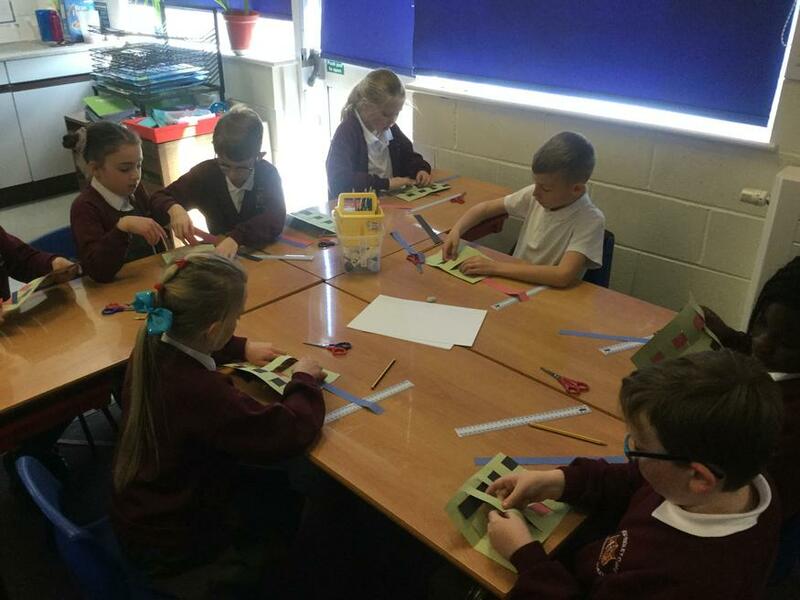 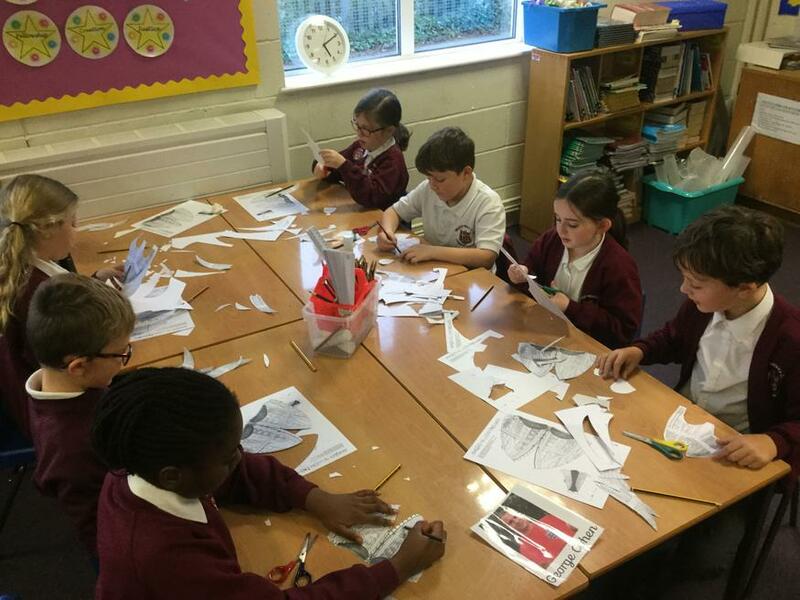 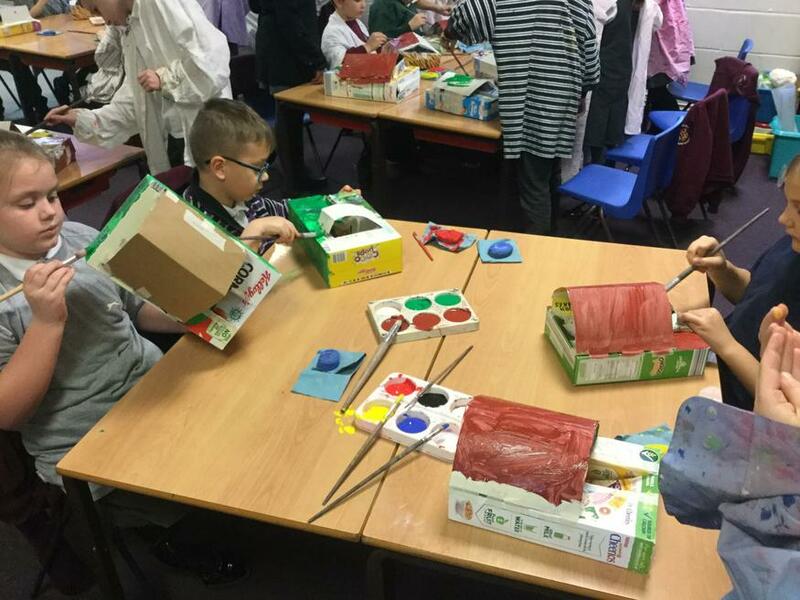 We have been making Anglo Saxon helmets and Viking houses. 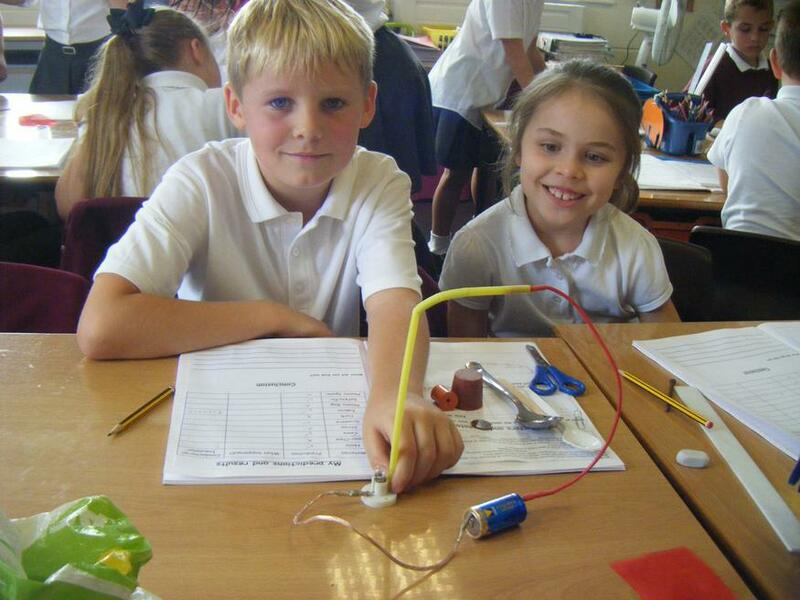 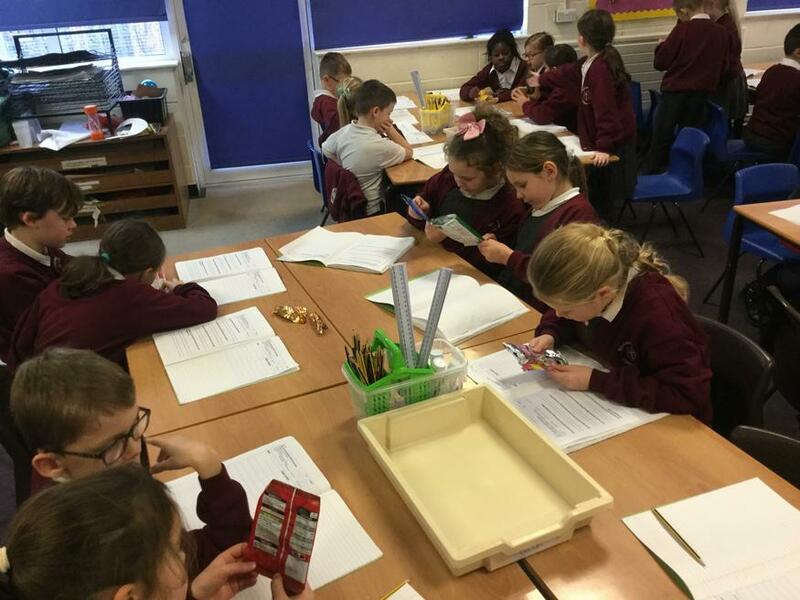 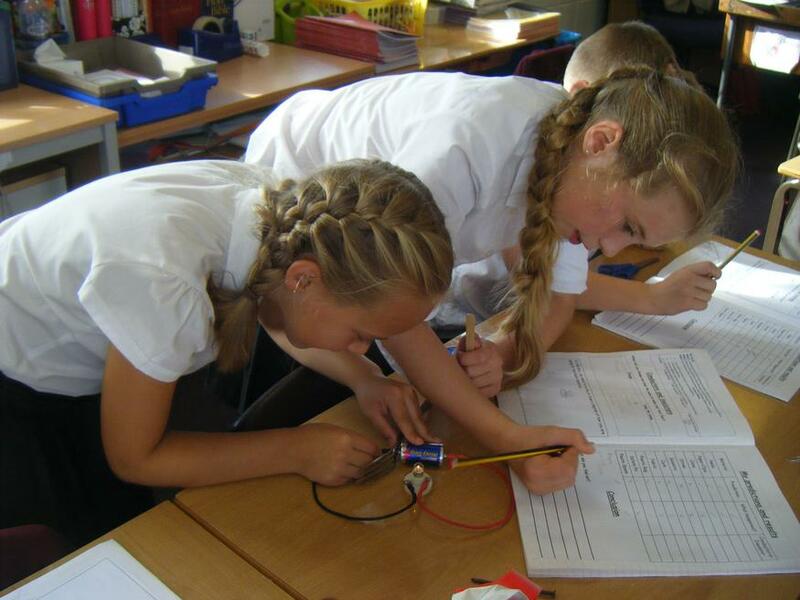 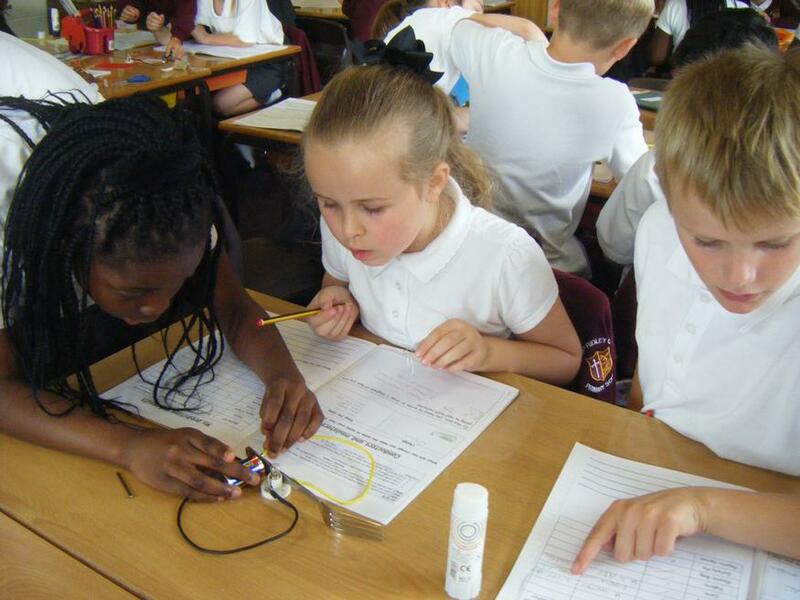 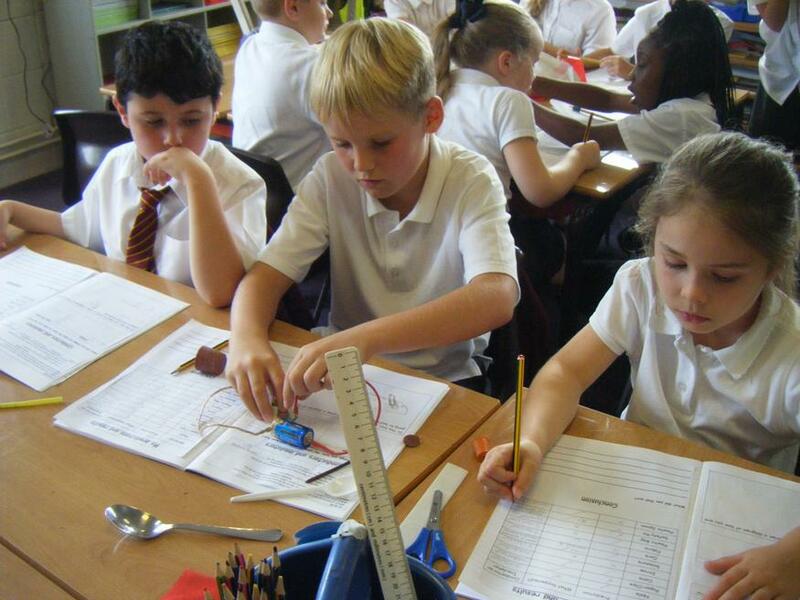 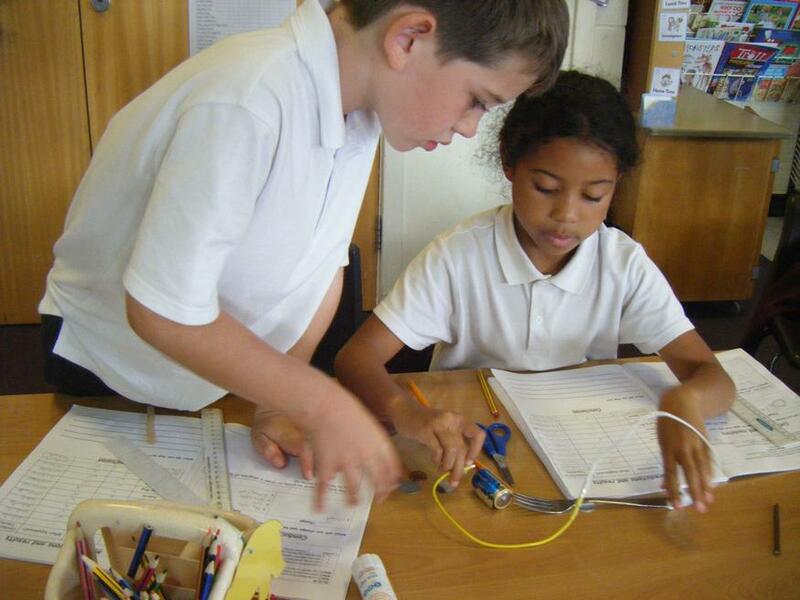 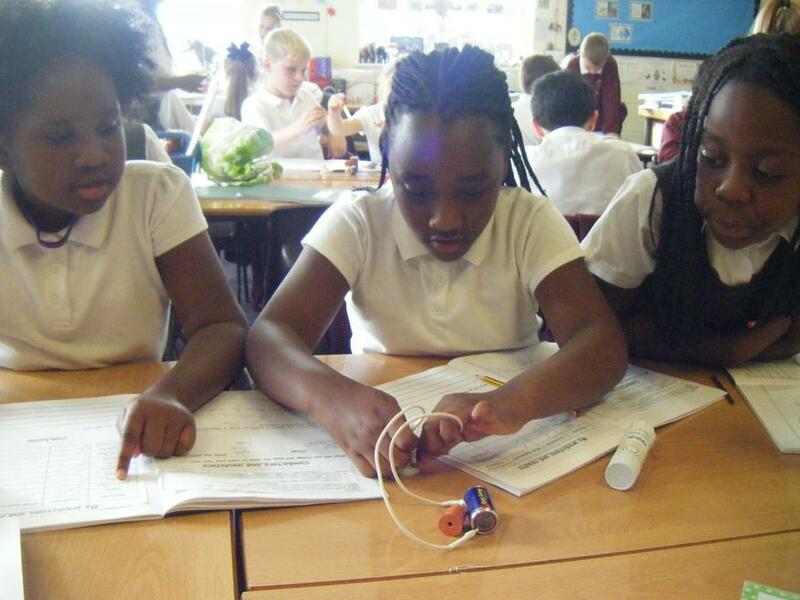 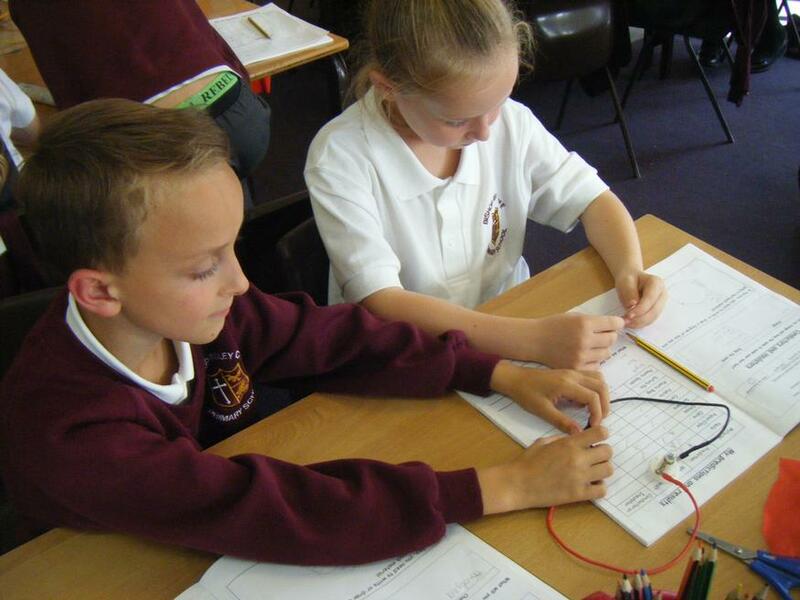 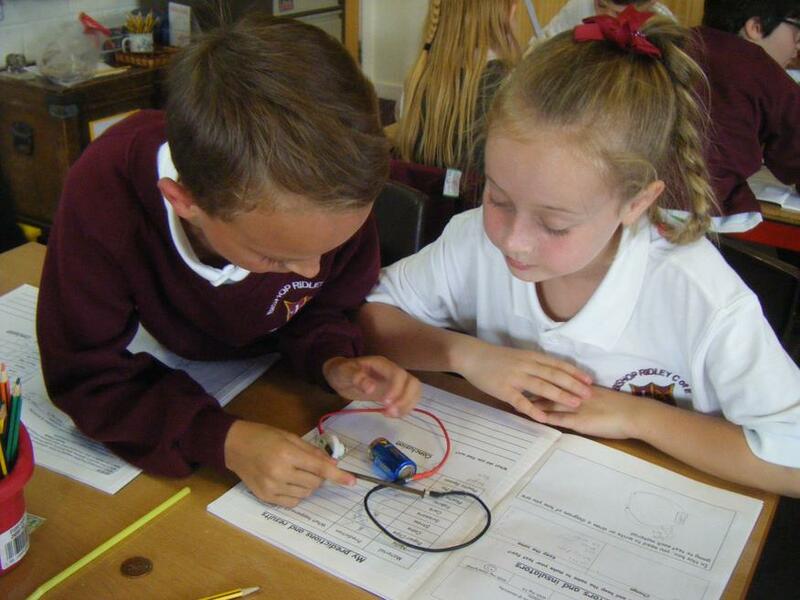 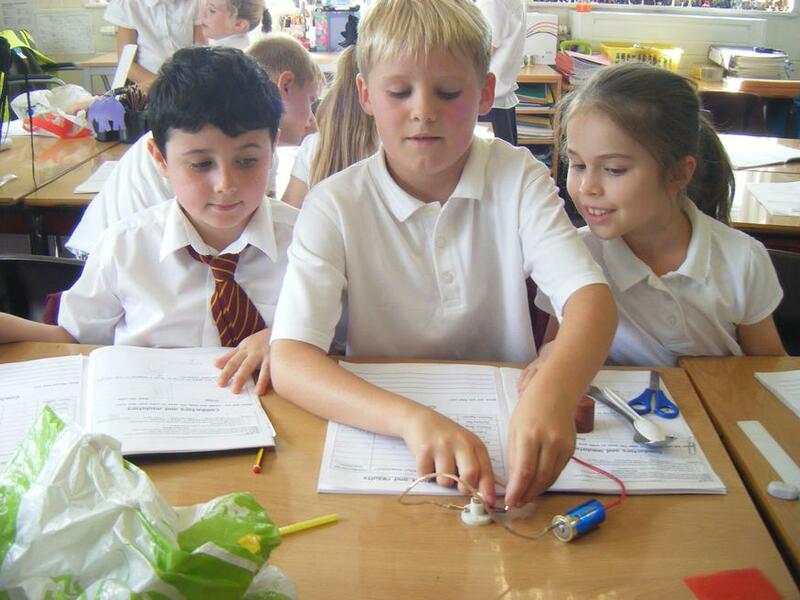 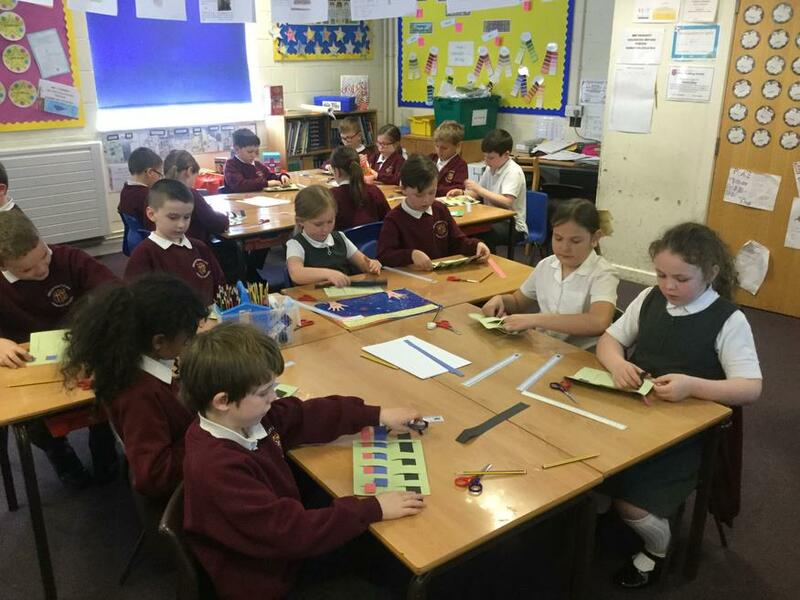 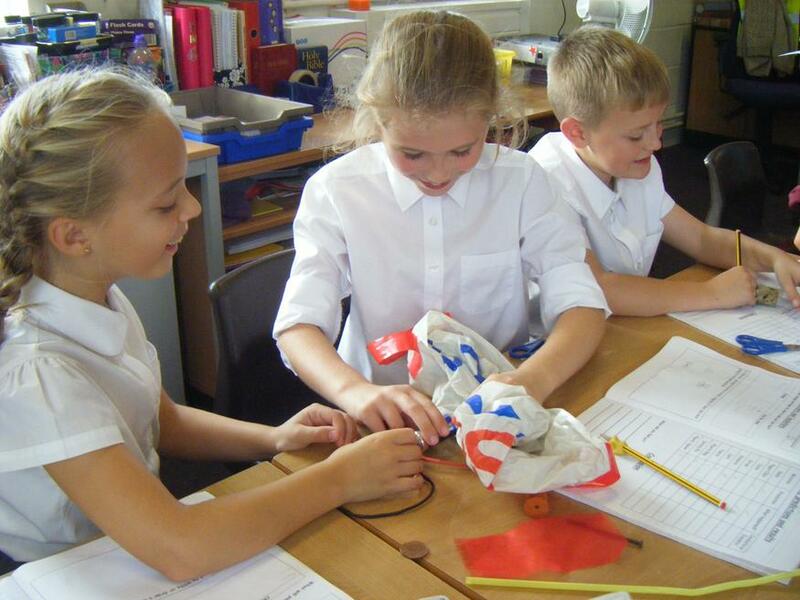 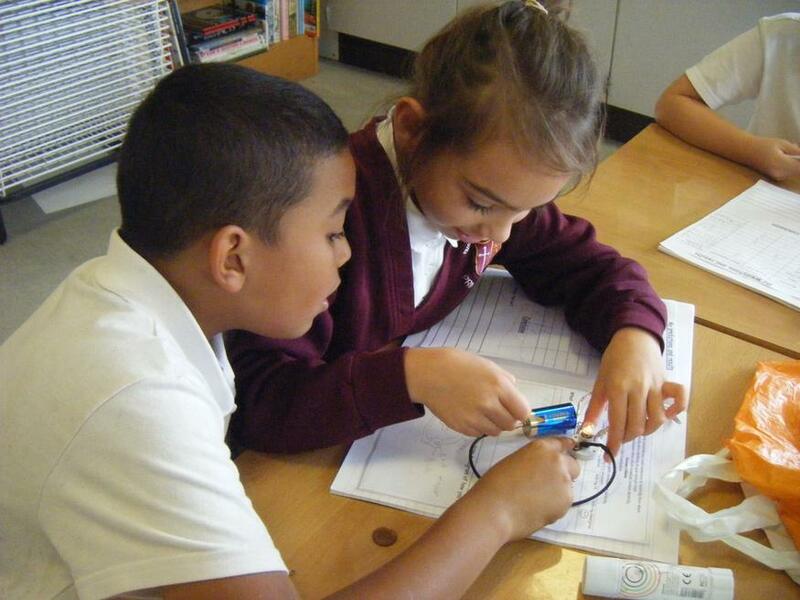 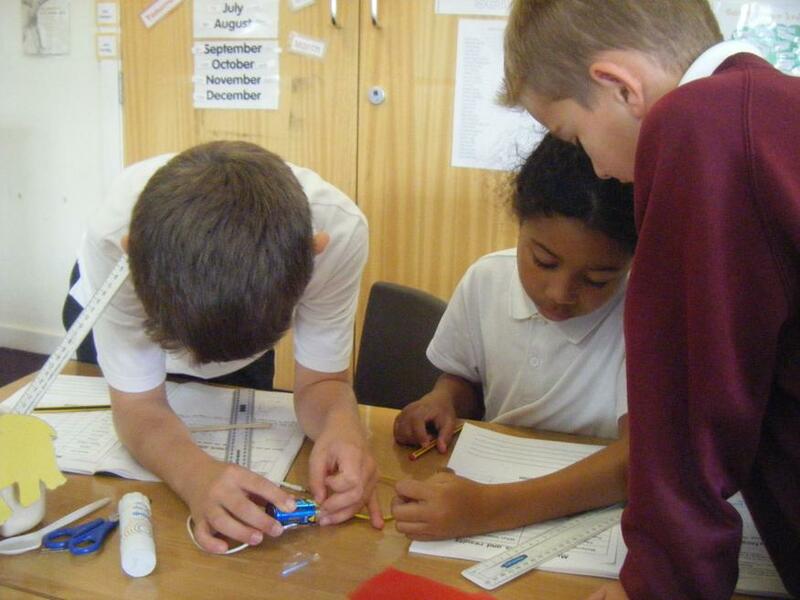 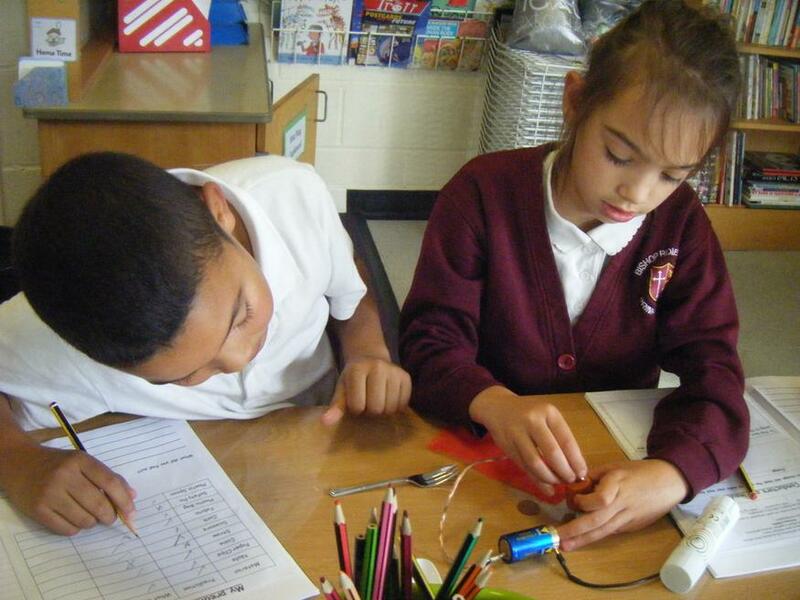 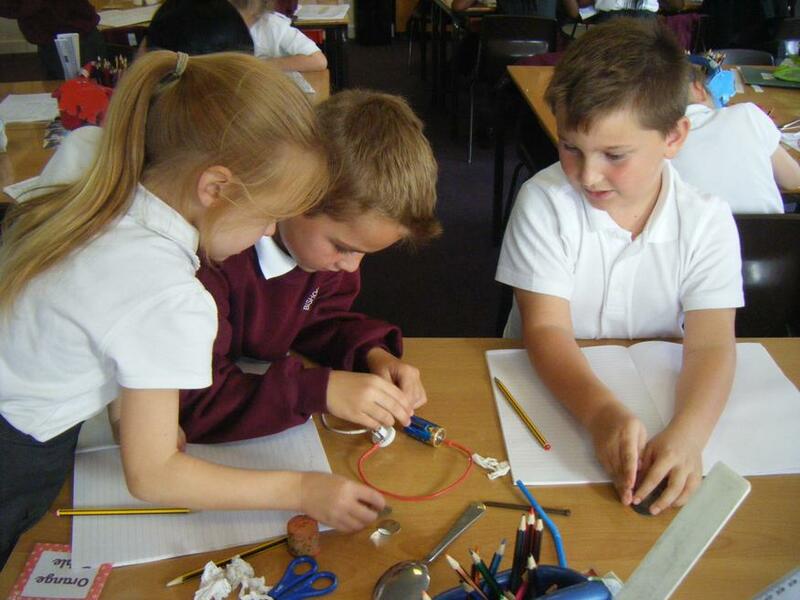 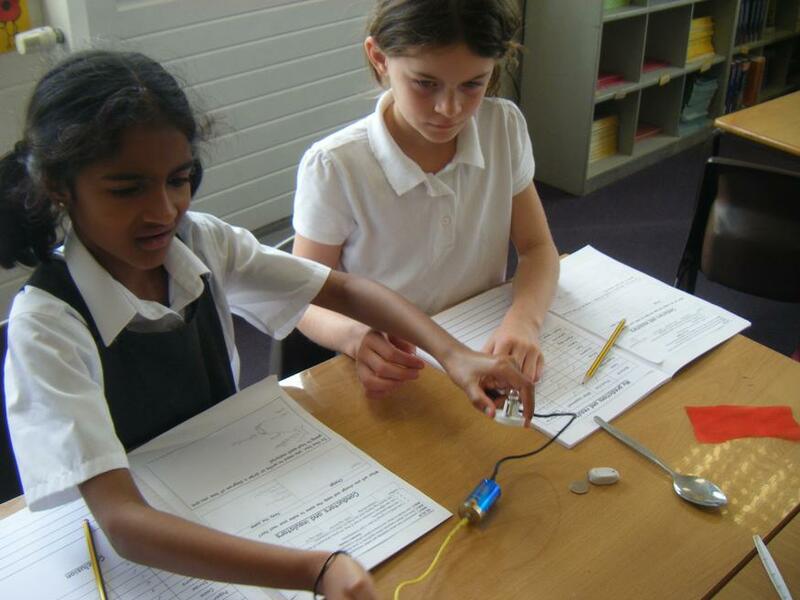 We have been investigating conductors and insulators in Science. 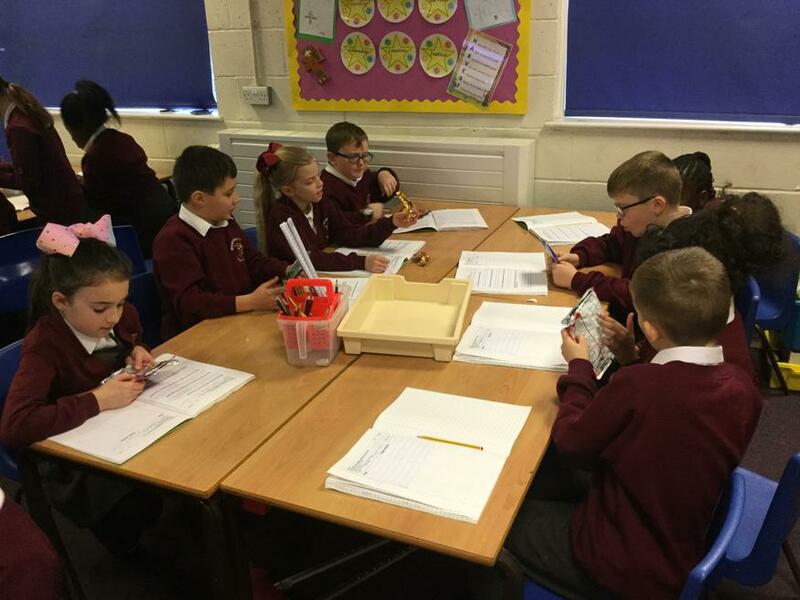 Both classes will have PE on Monday and Wednesday afternoons. 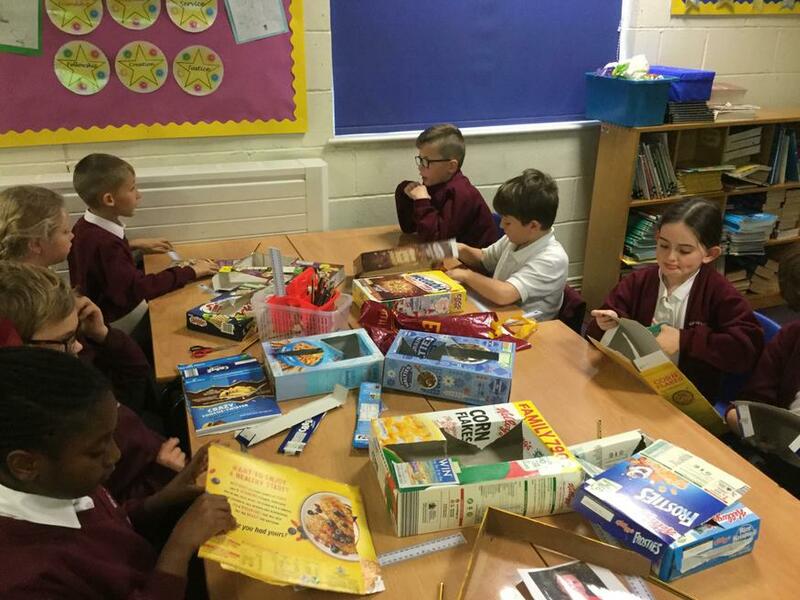 Please ensure a full kit is in school at all times. 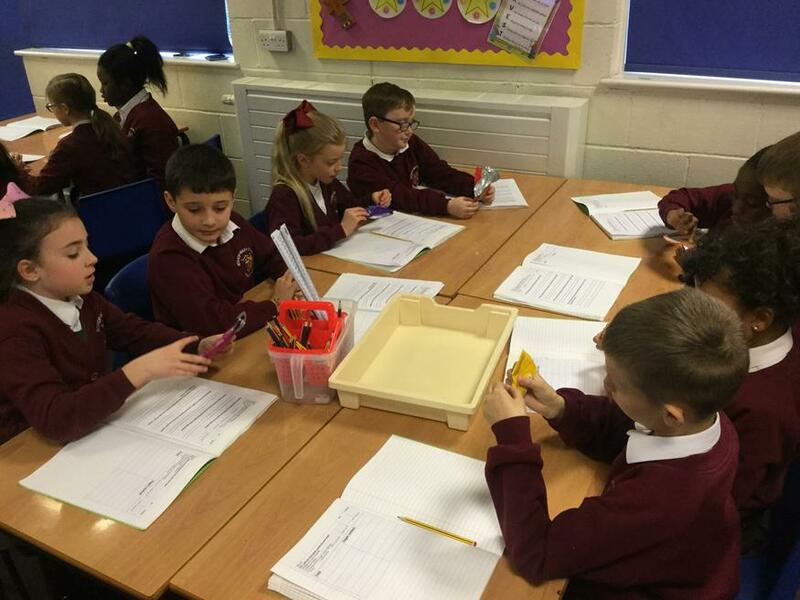 Tested on Friday with new spellings sent home with homework. 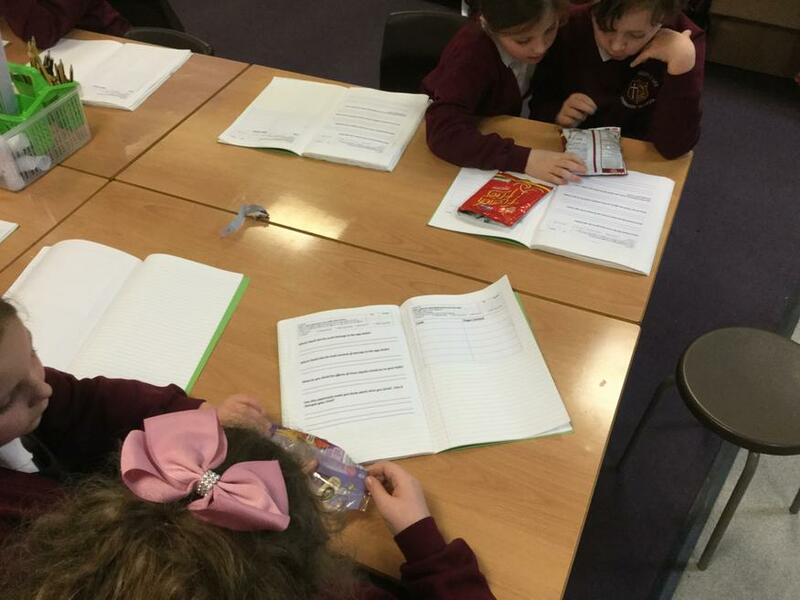 Maths or English set every other Friday, to be returned by the following Friday. 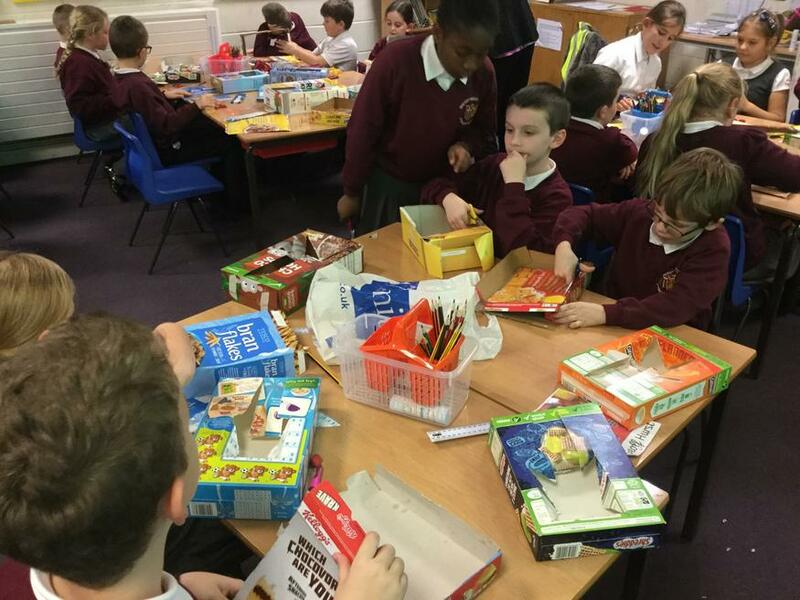 Both classes will visit the Library on a Friday afternoon.